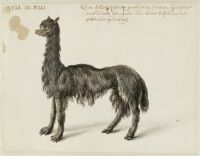 Dutch archives and museums have large collections relating to countries beyond Europe. This platform can help you find (historical) photos, maps, archival records, video fragments, newspapers, etc within these collections. 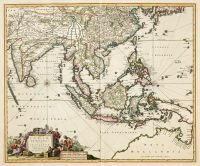 Because of historical ties, Dutch collections are particularly rich concerning Indonesia, Australia, Ghana, Suriname, Sri Lanka, Japan, Brazil, South Africa, Canada, the United States, New-Zealand and Australia. The Netherlands and the World Exchange Platform brings together demand and supply for objects from these collections. It wants to promote that relevant materials are digitized, made available under an open license - and that they are used! Anyone can post a request for digital material. The Dutch archives and museums participating in this exchange platform are willing to make relevant media files available for reuse through the mediabank Wikimedia Commons under a Creative Commons license. If you represent a Dutch museum, archive or library and want to share your collections and promote use of your digitised materials, we also want to hear from you! Statistics will be available to show how and where collection-items are re-used. For years, Syria has been the scene of a bloody civil war resulting in hundreds of thousands of deaths, millions of refugees, and the destruction of entire cities. The recent image donation by the Nationaal Museum van Wereldculturen (the National Museum of World Cultures) in the Netherlands shows another Syria. Frans Post (1612-1680) was a Dutch painter from Haarlem belonging to the Dutch School. Between 1636-1644, he received a commission from John Maurice of Nassau, then governor of Brazil, to travel to Brazil and document its people, nature and landscape.